← Downton Abbey Season 6 CONFIRMED!! Did You Watch BBC America’s NEW Spy Thriller “The Game” Starring Tom Hughes? The Game, a suspenseful six-part, edge-of-your-seat thrill ride, created by Toby Whithouse (Being Human, Doctor Who) is NEW on BBC America! THE GAME is a stylish, character-driven spy drama that explores the lives and lies of the invisible soldiers fighting a secret war. 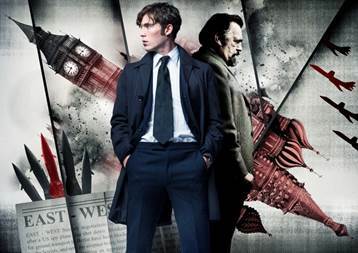 When MI5 agent, Joe Lambe (Tom Hughes, Dancing on the Edge), is contacted by a defecting KGB officer about the plan to destroy the British establishment, MI5 leader, Daddy (Brian Cox, The Bourne Supremacy,An Adventure in Space and Time), assembles a secret committee to investigate the threat in a frantic race against time. Their mission: stop the plot, save Britain and in turn, the world. The Game is part BBC AMERICA’s Dramaville. Let us know what you think after you’ve watched the show! Lady Anglophile….ready to get her spygirl on! This entry was posted in British Telly and tagged The Game, Tom Hughes. Bookmark the permalink.